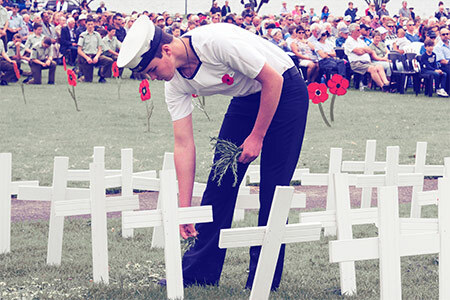 This week provided a sobering reminder of the sacrifices made by our Tauranga forebears – and a demonstration of just how far we’ve come with communications technology. The reminder occurred on Sunday, when more than 300 people gathered in Memorial Park to pay their respects to 109 local men who died in World War 1. For this communications professional, Remembrance Day was a time to reflect beyond the horrors of war to the propaganda which led our forefathers to believe they were embarking on a ‘grand adventure’. It was also a time to ponder the incredible scientific advances made in the short span of 100 years, with century-old communications technology including rudimentary biplanes, Morse code and hand-cranked movie cameras producing jerky images bereft of sound. How often have we seen those old black-and-white war clips of soldiers marching at comical speeds, or uttering cryptic pronouncements to cameras unable to capture their voices? Also this week, Kiwi film visionary Sir Peter Jackson demonstrated that modern technology can enhance the meaning of those early attempts to communicate through film. This occurred when Jackson’s riveting documentary They Shall Not Grow Old hit local cinemas after attracting rave reviews overseas. Jackson produced his film after gaining access to British archives containing hundreds of hours of footage from 1914 – 1918. None of those films were shot at the modern rate of 24 frames per second, so the director’s technical wizards used powerful computers to recreate the images that were missing between each frame. After much research into geography, flora, weaponry and uniforms, they painstakingly colourised the films to look as realistic as possible. Perhaps most remarkably of all, Jackson employed professional lip-readers to decipher the silent words of the men captured on film, with voice actors re-creating the words they uttered so long ago. These efforts have had the combined effect of humanising the men, of compelling us to identify with them as individuals, of enhancing the poignancy of their trials and their deaths. Jackson has proven that technology can enhance the power of messages created 100 years ago and, in doing so, has breathed new life into those who shall not grow old. Scott brings to Blink a passion for storytelling and a knack for grabbing an audience’s attention. “I love exploring the creative side of communication, which to me is more of an art than a science.” His abilities stem from a decade-long career as a journalist – he has been a finalist News Reporter of the Year, Regional Journalist of the Year and Feature Writer of the Year (Junior) at the national media awards.